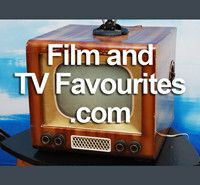 filmandtvfavourites.com is a family run internet-based mail-order business. We have been trading online for more than 10 years. We specialise in locating rare and hard to find DVDs (and the odd Blu-ray and Vhs) and stock many titles not readily available in the shops. All the DVDs and Blu-ray that we sell are official releases – we do not sell bootlegs or pirate films of any kind. We are based in the UK and sell DVDs and Blu-rays that are formatted to work here [ie. English Language Region 2 Pal DVDs, Region 0 (All) Pal DVDs, Region B Blu-rays and Regions A B C (All) Blu-rays]. The Region 2 DVDs and Region B Blu-rays will work in the UK and most of Europe (but not other countries such as USA and Canada unless you have equipment which is specified as multi-region capable). The Region 0 (All) DVDs and Regions ABC (All) Blu-rays should work anywhere in the world. If you need to contact us please use the following link. We will reply within 24 hours.